When you are cutting and baling hay timing is crucial. You can’t afford to lose money on a cutting because your baler or rake is down and waiting for parts. In fact, you need your cutting, raking and baling equipment to be operating at the peak of performance. We have the parts you need to do just that. 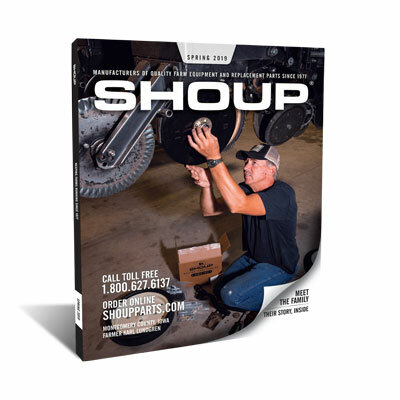 Shoup Manufacturing carries replacement baler parts for John Deere, New Holland, Vermeer, and others that will keep you cutting and baling hay quickly and efficiently. The parts we carry include cutting parts for windrowers, mowers, and mower conditioners. We also carry round baler belts, baler chains, bale thrower belts, bale gathering wheels, baler poly pickup bands and rake wheel assemblies. Your order will arrive quickly thanks to our lightning fast shipping process, which is smooth and hassle free.